UPSC Jobs Recruitment Notification 2018.Union Public Service Commission in the Ministry of Commerce & Industry, Ministry of Textiles and Department of Training & Technical Education inviting applications for the positions of economic officer, director and lecturer jobs.Interested and Eligible candidates can apply for the positions. 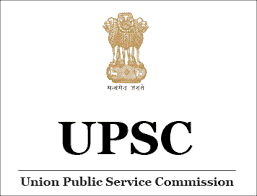 Total number of vacancies to be filled in various departments of UPSC is 10. Master degree holders in Economics or commerce from a recognized university can apply for economic officer post. Bachelor degree holders can apply for director and lecturer post. Maximum age for economic officer post is 30 years, director post is 50 years and lecturer post is 35 years. Based on interview test candidates will be recruited. Mode of applying for UPSC recruitment is through online mode. The online portal link will be active from 08th September 2018 to 27th September 2018.
https://upsconline.nic.in/ora/VacancyNoticePub.php is the link for contenders in order to apply.